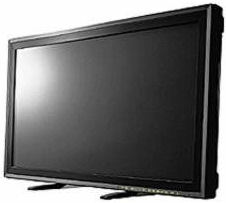 This was one of the first bigger Plasma-Screens on the market in 2000, specially built for television-studios. We wanted to use them for an infomercial-project and needed an built-in computer. Luckily this monster had two removeable boxes on the back: One for the power-supply, and one for the input-box. And the input-box was nearly empty. I managed to cram a 200Mhz K6 (top notch at that time! 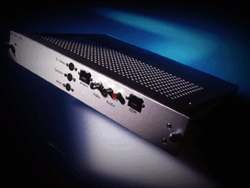 ), powersupply, 3.5" Harddisc, ISDN-Modem and 9 frontplate-connectors into the confined space of the box. I built the first prototype (with a friend) during one night of work, and on the same day we had to fly to paris to fit the prototype with one of the ultra-rare internal power-connectors we got from the producer of the screens. We managed to get our own connectors several weeks later, by buying a stash of 10.000 connectors (!) from the producer (a company named Molex). The producer of the plasma-screens was very interested in our boxes, and i tried to convince our boss to patent it somehow. We even had a patent-attorney visiting, but our boss decided not to patent it, or only patent it later, and sent two of our (non-prototype) boxes to the company. We got them back, one week later, and of course both of them had been opened and probably closely studied by the technicians of the company. Not much later the company produced their own boxes, and company i worked at suffered massive financial struggles.